Maxine Louise Gentner, 96, went home to be with the Lord on February 9, 2019. She was born July 3, 1922 in Akron, Ohio. Maxine worked as a bookkeeper and retired from Glenn Fisher Jewelry. She was a faithful member of Goss Memorial Church. She enjoyed reading, knitting, gardening, and the beach. 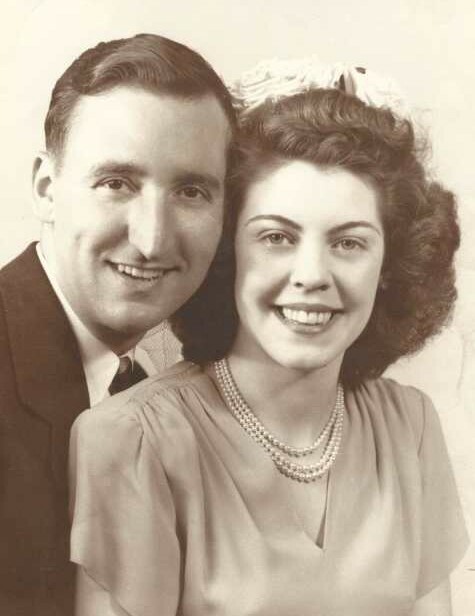 Maxine’s love spanned generations: Anchoring a 65-year marriage, raising two children, doting on 7 grandchildren, and happily spoiling 14 great-grandchildren. She never missed a day without talking to her sister on the phone. When Maxine left her Akron home of 65 years to move near family in Virginia, she told the caregivers in her assisted living facility that they were her family now, too, and her love extended its reach again. Maxine had the gift of making everyone around her feel truly special. She was a remarkable woman and will be profoundly missed. Maxine was preceded in death by her mother, Hazel Cook; and husband, Joseph D. Gentner. Maxine leaves behind her son, David (Dale), and daughter, Kaye Lynne Culyba (Basil); grandchildren, Jason (Stephanie), Jeff (Mollie), Mark (Marina), David (Sabrina), Liz (Neil), Maggie (Scott), and Catherine (Scott); great-grandchildren, Cole, Olivia, Cora, Ava, Luke, Jack, Elle, Lark, Alex, Hazel, Jacob, Emma, Isaac, and Max; sister, Dolores; sister-in-law, Dorothy Malinak (Paul). Friends may call at Bacher Funeral Home, 3326 Manchester Rd., Akron, OH 44319 on Friday, February 15, 2019 from 5 to 7 p.m. A funeral service will be held at 10 a.m. on Saturday, February 16, 2019 at Goss Memorial Church, 2247 11th Street, Akron, Oh 44314. Pastor Kevin Burkholder and Pastor Bud Couts officiating. Entombment at Greenlawn Memorial Park.